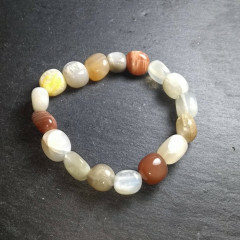 Moonstones are an interesting and beautiful off-white or peach coloured Feldspar mineral – not to be confused with Rainbow Moonstones, a play of colour gemstone which consists of a slightly different type of Feldspar. Beneath the iridescent veil of the stone lies pearly white depths. 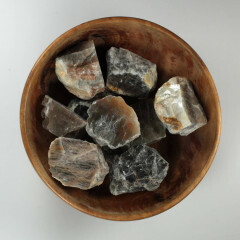 Named for its moon-like sheen, it is a feldspar mineral that exhibits a soft, watery opaqueness with a silvery reflection called chatoyancy that moves across the surface as the angle of light changes. It is usually polished or tumbled, and is sometimes carved into decorative objects. They are found in several locations worldwide, including India, Madagascar, and Sri Lanka. It was valued throughout history, particularly by the Romans and the Greeks, who associated it with their Moon Gods. Despite the name, Rainbow Moonstone is not the same stone. 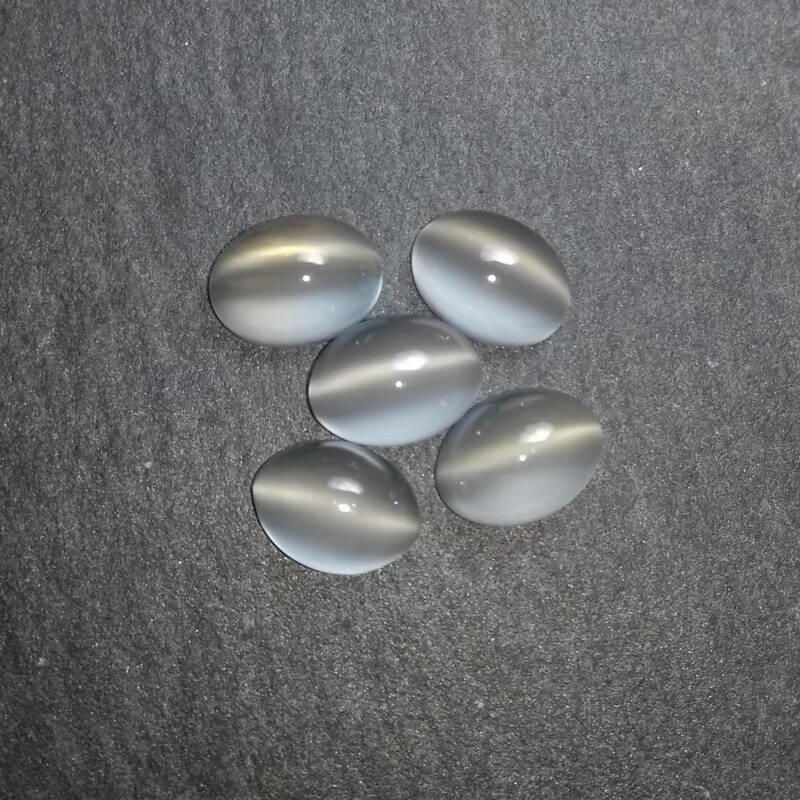 Rainbow Moonstone is actually closer to Labradorite – plagioclase Feldspar, rather than potassium Feldspar, which this variety of Moonstone is. The two are related, but Rainbow Moonstone is technically closer to white Labradorite. 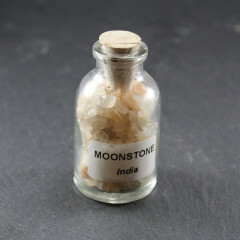 Moonstone has long been associated with the moon and therefore love and couples since ancient times – it is a traditional wedding gift in India. 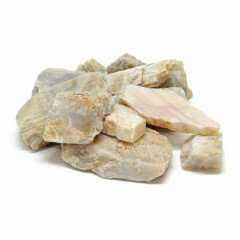 Like the moon effects the tides, moonstone effects our emotional balance. It stimulates our spiritual centre and works well with the Crown chakra. It is the traditional birthstone of June, along with Pearl and Alexandrite. Partially polished piece of Moonstone. 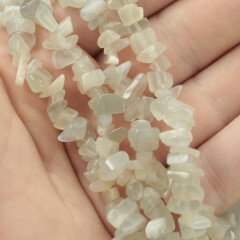 Tumble polished pieces of Moonstone.